“I woke up in the middle of the night, ran around my house and made a rudimentary prototype,” and in that moment Pamela Castrucci had the first glimpse of her first business venture—Voice Kite. It was February 2012, and Castrucci’s dear friend, Kate St. Claire, had recently transferred her 8-year-old son Kyle to hospice. 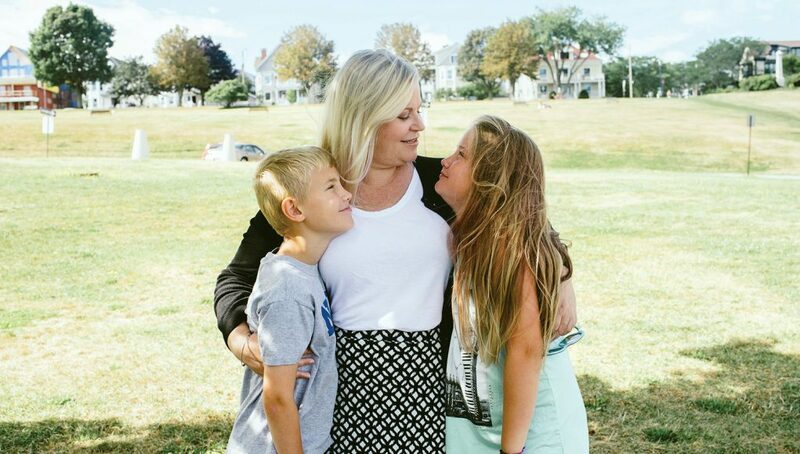 Having gone through losing her twin boys shortly after their premature birth, Castrucci couldn’t bear seeing someone else, someone so close to her, endure the pain associated with losing a child. During her middle of the night epiphany, Castrucci thought if families could marry photos with storytelling audio, maybe it would help them preserve memories in a different way than dusty photo albums or gigabytes of digital storage. With no prior entrepreneurial experience, Castrucci, an attorney at Unum, sought business mentoring from SCORE Maine to launch her concept into a business. The volunteers at SCORE helped her devise a business plan and set the building blocks in place for turning Voice Kite into a working business model. 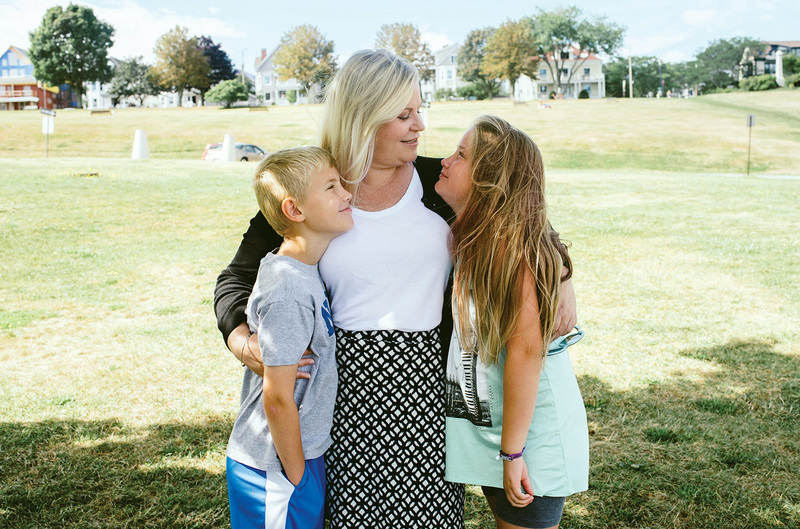 “I had a full-time job, I’m a single mom, and all of a sudden, I’m chasing after this dream,” says Castrucci. And she didn’t stop running. 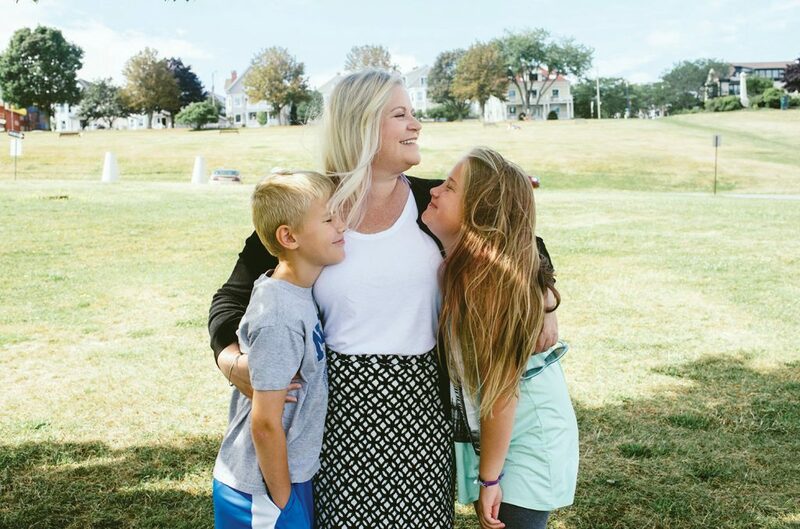 She was accepted to Maine Center for Entrepreneurial Development’s Top Gun Track program where she furthered her business savvy. Voice Kite became incorporated about six months after the idea first struck Castrucci. By the fall of 2012, the company received its first grant and went on to be awarded two more. Castrucci recruited St. Claire and two other friends, Kirsten Shultz Marjerison and Janna Smith, to help work on the grassroots project. A 2014 Kickstarter crowdfunding campaign raised more than $11,000, but without winning a fourth grant Castrucci applied for, Voice Kite fell short on funding. The lack of funding stalled progress, and the lack of a programmer on the Voice Kite team made any web or app development a struggle. Without the necessary capital and lack of tech capabilities, Castrucci faced the harsh reality many new entrepreneurs encounter. Voice Kite was losing traction. She had a prototype to promote the concept, but getting the actual program off the ground for consumer use was looking less feasible. “We were all disappointed,” says Castrucci, who refunded the money raised via Kickstarter when it became clear Voice Kite would not come to full fruition. “It is like a part of me now. I was working full-time, but would stay up until two or three o’clock in the morning to work on this. It was a fully bootstrapped business. If it was going to get done, I had to do it. While Castrucci had to concede on this endeavor at this time, she hopes there will be another time in her life when she can return her focus to Voice Kite and give it another go. Or for that matter, maybe there will be another business endeavor she is impassioned to follow. “I have the bug now. It takes a lot to throw yourself out there, get in front of a room full of people, and pitch your business idea,” says Castrucci. “And yet it’s exhilarating, too. When asked what her biggest regret is from the whole experience, Castrucci says, “We did not have it ready before Kyle passed (in January 2013). “Kate has a lot of video of Kyle and lots of pictures, but I really wish I could have packaged that for Kate. Kyle was the most beautiful child. He’s inspired so many people,” including Castrucci herself.